Construction set which will improve children's fine motor skills, as well as develop their creative and problem solving skills. 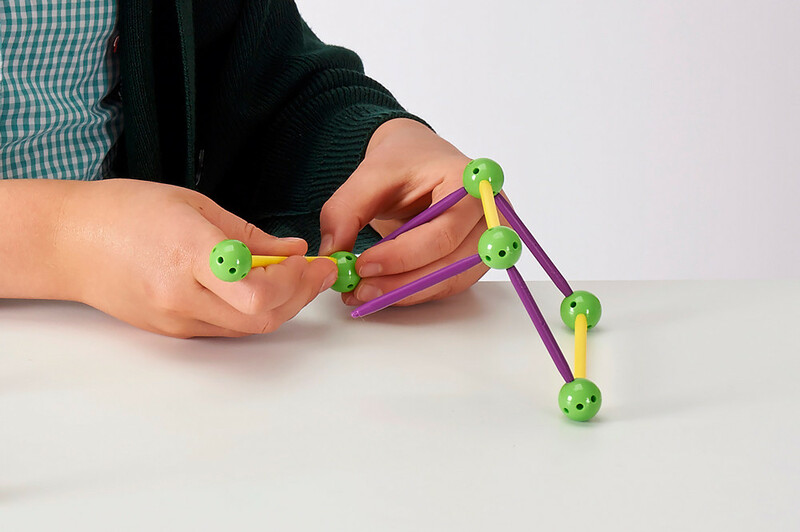 Build 2 & 3 dimensional structures. Introduces children to basic geometric shapes. 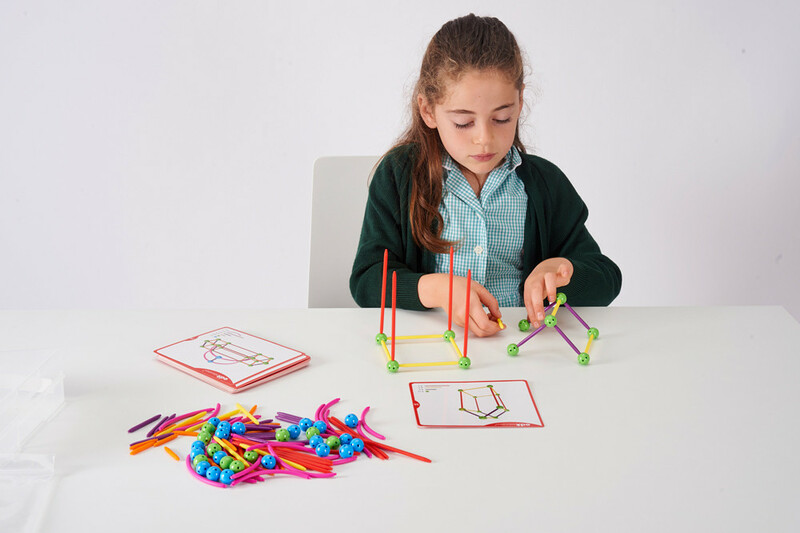 Contains: 80 sticks in 4 sizes and 4 colours, 40 connecting balls in 2 colours, 24 quarter circles, and 20 double-sided activity cards in a sturdy container.